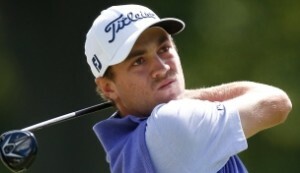 Justin Thomas suddenly won two tournaments in a row in Hawaii with total scores at 49-under par and set all-time records with a round of 59 at age 23 and the lowest 72-hole score in Tour history. Who is this guy and where did he come from? He has been on the PGA tour since 2013 and had won only once before in the 2015 season. This season he has won three times since October which was the most anybody won all of last year. Clearly off to a great start, but you may know his good buddy, Jordan Spieth, better. Spieth was the young sensation of 2015, winning five times including the Masters, US Open and FedEx cup and achieving World Ranking #1. When asked by the commentators in Hawaii if Thomas had suddenly arrived or was this a one-time run, Spieth replied, “Neither, he has been playing at this level for years.” He will likely have many more good runs like this and we can expect him to push all the current contenders for World #1. And there-in lies the lesson for your business. Suddenly achieving notable success should not result from a short run of good luck. You cannot count on that ever happening. You should be building on dedicated preparation and hard work to sustain success for a whole career. Even if you never achieve World #1 ranking you will be recognized as a winner for all the right reasons and be rewarded accordingly. Visit LearningEntrepreneurship.com and join our mailing list for more ideas, information and inspiration for entrepreneurs.